The hopes of a miracle escape were finally dashed on Tuesday evening as Southampton beat Swansea City at the Liberty Stadium to confirm Albion’s inevitable relegation, albeit much later than we all expected. While Darren Moore might not have saved the Baggies from the drop, he has certainly saved the season. When Pardew was finally shown the door, we all knew that it was virtually impossible to stay in the Premier League, but to take it to the last week of the season was almost as unlikely. The change that Moore as effected in the performances and results over the past five weeks is nothing short of remarkable, and whatever happens in the next few months, he will go down in Baggies history. He will also, of course, go down in Premier League history as the first, and surely he will always be the only, man to win Manager of the Month and see his team relegated on the same day, in addition to being the first Jamaican manager (albeit Handsworth-born!). Whether he will become Albion’s first black permanent manager remains to be seen. He would certainly be a popular choice amongst the fans and, had he managed to pull off a miraculous escape, it would have been much harder to resist, but BBC’s Steve Stone reported on Tuesday evening that Big Dave is unlikely to get the job and that the man himself doesn’t really want it. If that is indeed the case, it only increases my respect for the man as it would demonstrate an awareness that his ability to get a series of positive results in a short period of time will not necessarily translate to long term success. Indeed, there have been few examples of a caretaker manager being appointed to the permanent position and having continued success. Mike Phelan at Hull and Craig Shakespeare at Leicester are two recent examples of where such an appointment has quickly gone wrong. However, if Darren Moore does want the job, it would be difficult to argue against it, assuming they can find a suitably experienced man to work with him. This will be a summer of turmoil as far as the squad is concerned. Some will inevitably leave, some will want to leave but either not be allowed to, or not attract appropriate interest, and there will need to be additions. Big Dave strikes me as the sort of man who would be able to deal with the players on an individual basis, relate to them and get the best out of them, but he has no experience of the transfer market. With a Technical Consultant with little knowledge of the English leagues, there is a hole to be filled and, if it is not by a new Head Coach, it is another key appointment that the board will need to make, and quickly. Whatever happens, the club need to ensure that Darren Moore is part of the first team coaching staff next season, and is happy and content in whatever role he is given. He is a true Baggie so I don’t expect him to be tempted to leave, but that possibility remains if he is not treated in the right way, and it would be a crime if it was another club who benefited from what seems to be an emerging coaching talent of the highest calibre. Looking ahead to the final match of the season, I’m sure that Moore will be eager to remain unbeaten and if Albion do get at least a point on Sunday, it will be their longest unbeaten league run since 2011, while a third successive league victory would be the first such run of results since November 2012. He has already won more points than any of his predecessors this season and adding to that would give him an average points-per-game of at least two which would easily secure a top four position if extended over a season. 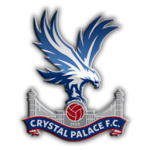 Sunday’s opponents, Crystal Palace, are also in good form having also won three and drawn two of their last five games. Their impressive 5-0 thumping of Leicester City last weekend means that they are a place above the Baggies in the six-game form table with only Chelsea and the two Manchester clubs having gained more points than either Palace or Albion from the last half-dozen fixtures. Roy Hodgson has done a remarkable job at Selhurst Park since taking over in September – had the club done what they should have done last summer and dispensed with the Welshman, Woy could well have been back at the Hawthorns and this season could have been very different. With nothing other than pride to play for, it will be interesting to see whether Moore will give one or two of the youngsters a chance on Sunday. Recent weeks have ensure that there will not be a toxic atmosphere in the away end despite it being Albion’s last Premier League match for at least 15 months, and the Eagles’ fans will be in a good mood as well having already secured safety. It might, therefore, be a good pressure-free environment to play a few more of the players likely to be part of the first eleven next season, such as Sam Field and Oliver Burke, although Big Dave might prefer to stick with the team that has served him so well in the last five weeks. Whatever the team, and whatever the result, it will be a chance for the away fans to say thanks to Big Dave for putting some pride back into the club, and while we will be playing in a division lower come August, we can take some positive momentum into the close season. Depending on how that goes, maybe they can carry that into next season. 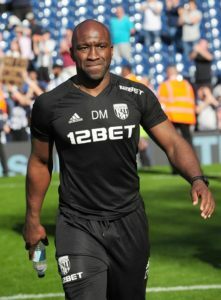 I’m hoping for a good open entertaining game from two sides with nothing but pride to play for, and I think Big Dave will keep his unbeaten record with the Baggies earning a final point of the season.